I know you’re going to hate me because this article is going to be all pictures and no text but you HAVE to see for yourself in order to believe. 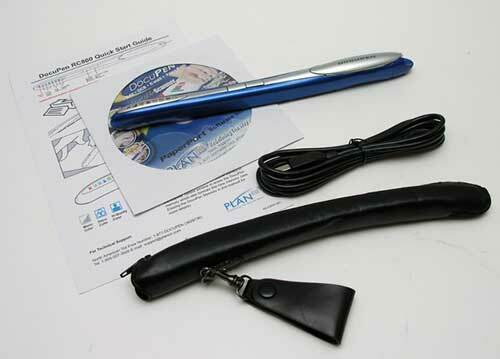 First we’ll talk about USB drives for they are the most common Usb device that people tend to enhance. 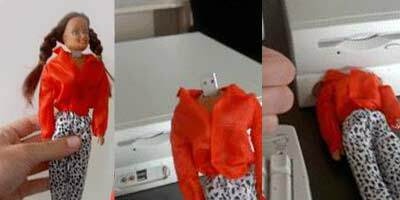 Take for example this ‘Barbie’, all you have to do is pop her head off and there you go, instant USB drive. Useless gadgets you can’t help but want – part One. 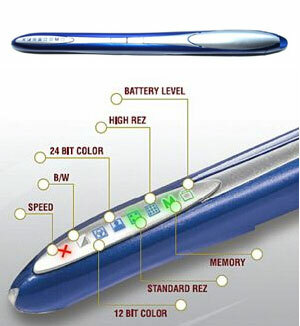 Some time ago PLANon released a nifty gadget called R700, it was a portable, hand held, full page scanner. It was interesting at it’s time but then it could only scan in black and white. Since then science moved forward and so did PLANon, now they proudly present the RC800, we’re talking about a 226 x 12 x 12 mm device, with a weight of 54g, using a rechargeable Lithium-Ion battery that can be charged via USB, 8mb flash memory with the possibility to extend using a MicroSD memory card. With that you get four scanning modes: Black and White ->1bit, Grayscale -> 4/8bit, Color ->12bit, Hi color ->24bit. The scanning settings can be easily selected using the two side buttons and the row of icons telling you what configuration you are using for the next scan. The icon row also give you information about the battery left, memory usage and also a led that indicates when you are scrolling too fast over the page. I wanted to write about this a while now and now I finally come to it. There are some interesting mapping services out there but Yahoo! 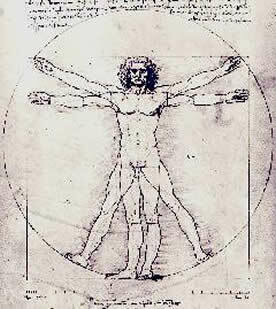 maps and Google maps are certainly the most well known. Until now I liked Google maps best for it was one of the first services of this kind and at the time it was quite comprehensive. Well it seems that Yahoo! worked (really hard it seems) to mend that and now Yahoo! maps looks really good. I for one do a lot of research before buying a mobile phone and the live photos (or the lack of them) can be the difference between wanting to buy one or ignoring it. Searching the Internet for some live photos of Nokia’s 6070, you can hardly find any. There was a rumor for some time now, that a large capacity disc will be developed, but nothing on-topic has proven so yet. Now, Hitachi-Maxell is planning to organize a showcase this week, and present to the open public their new 300GB holographic CD’s. It does seem like this is Science-Fiction, but I can assure you it’s not. We are all asking ourselves what would be the advantages and disadvantages of this removable media. Within advantages, I could mention the transfer rate of 20MB/s, the high capacity and the multitude of operations that could be fulfilled with the help of it, like large amounts of backups, uncompressed media (movies and audio) that could be easily edited later, and many many more. Disadvantages? The price, of course. 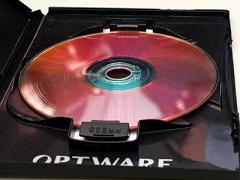 It’s expected that one holographic disc will cost somewhere between $100 and $125, and the optical drive that will be able to operate them will go up to $15.000! And wait, there’s more for the future. In 2008, InPhase plans a second-generation 800GB rewritable optical disc with data transfer rates of about 80MBbps, with plans to expand its capacity to 1.6TB by 2010. Amazing. What do you think about the high capacity disks? Share your opinion with us by leaving a comment behind. All in one! 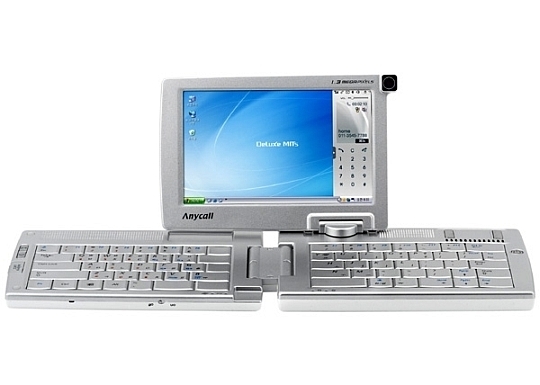 Windows XP, 1GHz Transmeta processor, 30GB hard drive, 5-inch screen, MP3, video on demand, QWERTY keyboard, WiMax, 1.3-megapixel camera, CDMA, Bluetooth, 5.6- by 3.7-inch and just over an inch thick case. I am now talking about the new SPH-P9000 from Samsung, this awsome mobile device was released at the Mobile WiMAX Summit 2006. 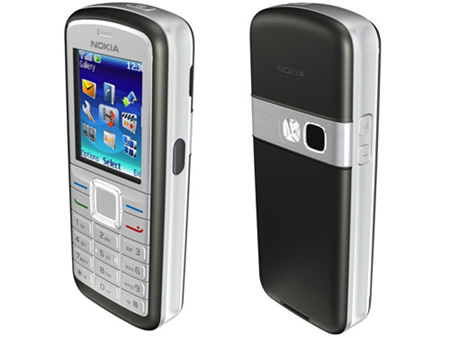 For access to the Internet the device uses wireless and the CDMA EV-DO technology provides mobile phone connection. For screenshots click here. This is my kind of device and I would talk more about it but the above specifications just speak for themselves, it’s one of those devices that makes you want to buy them no matter what.